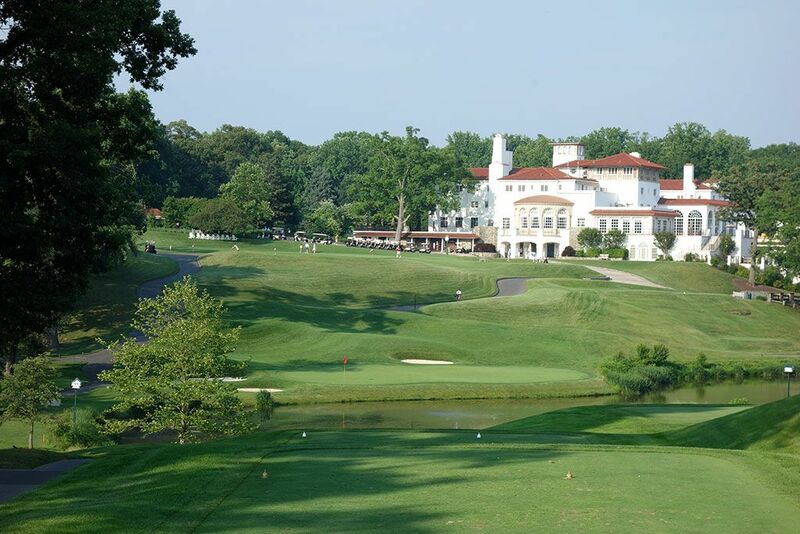 Course Website: Official Website - Visit Congressional Country Club (Gold)'s official website by clicking on the link provided. 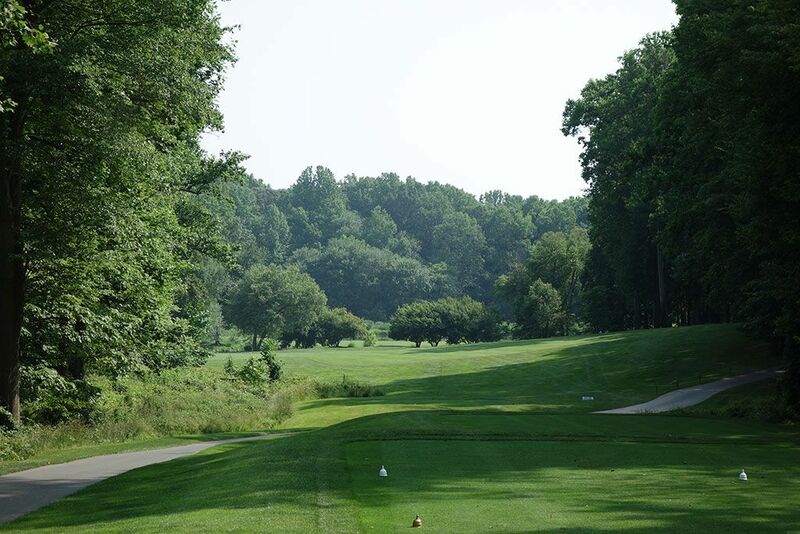 Accolades: Ranked 7th in Maryland on Golf Course Gurus' Best in State list. 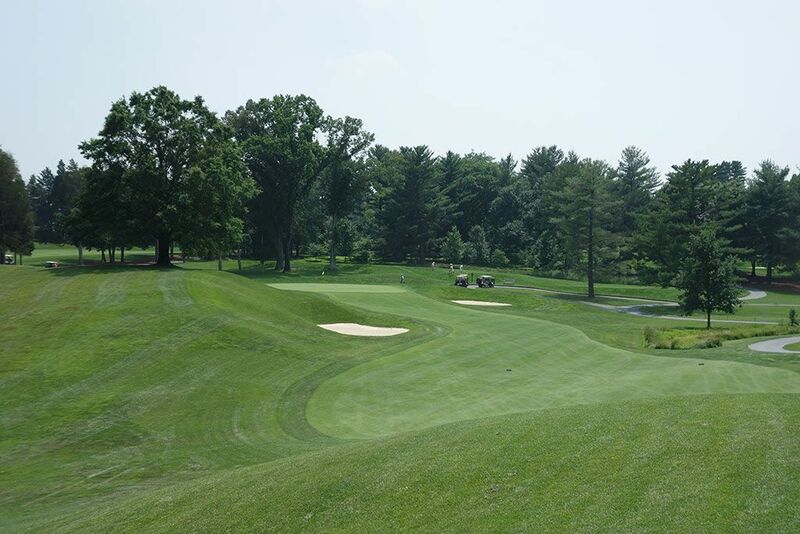 What to Expect: In the same light as Baltusrol Upper, Merion West, and Winged Foot East, Congressional Gold will always play second fiddle to the more renowned 18 holes on the property. Despite the ugly stepsister status, the Gold is far from being unattractive and features some of the most remote areas on the property. The course features gentle undulations throughout the routing and the greens have subtleties that will surely confound players the first time around. The middle section of the routing boasts dense trees, some beautiful holes, but also features the heaviest population of bugs. During this stretch is the 12th hole which is not only the finest on the Gold course, but one of the best par 4s in the greater D.C. area. The finishing hole is also stunning as this par three plays over a pond to green with the towering clubhouse featured in the background. 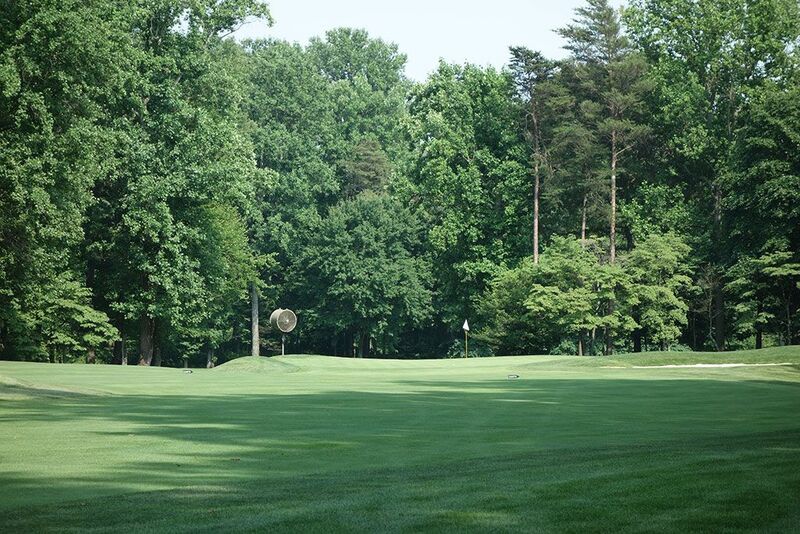 If you get to Congressional, don't pass up the opportunity to play both courses while you are there. Lastly, carts are allowed on the Gold course and a forecaddie will accompany you during your round. Signature Hole: 18th Hole – 204 Yard Par 3 – The Gold's finisher is the best par three closing hole I've ever come across and I'm thrilled it hasn't succumbed to pressure from the USGA that was put on the Blue course when its par three finishing hole was changed. The dramatic tee shot plays downhill to a green fronted by a pond while also boasting impressive views of Congressional's luxurious clubhouse in the background. Two bunkers protect the left side of the hole, a single bunker to the rear, and shot going to the right will be kicked into the water. A spine runs through the green splitting the putting surface into a distinct left portion and right section. Finishing a course with a par three is not a popular design feature, but when you can pull it off like Congressional's Gold course then you aren't going to hear any complaints out of me. 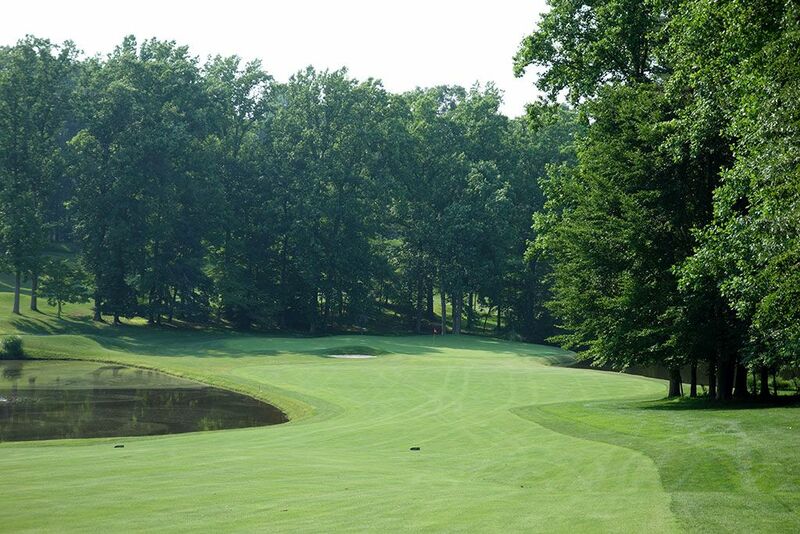 Best Par 3: 11th Hole – 190 Yards – Another par three that plays over water, the 11th begs you to take enough club off the tee since the severe slope in front and to the right of the green kicks balls into the awaiting water. The green is three times as wide as it is deep which will forgive waywardness in direction much more so than distance. The towering trees in the background create an attractive backdrop as the final touch on this one-shotter. Best Par 4: 12th Hole – 434 Yards – This is the best par four on either course at Congressional with one of the most devilish greens I've ever come across. 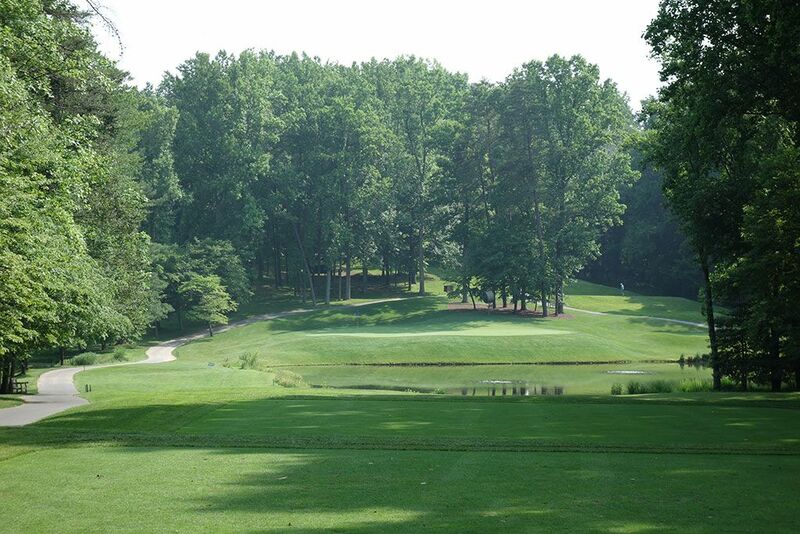 The tee shot plays over a pond to a fairway that doglegs hard left through a forest of trees. 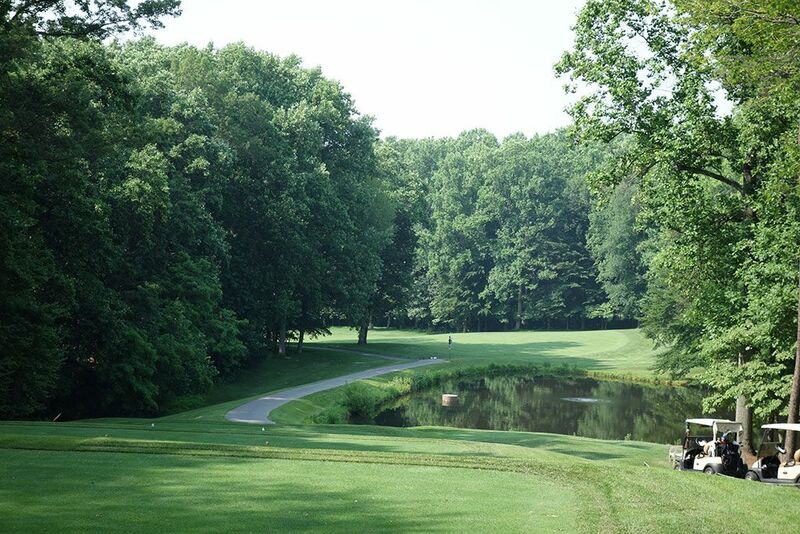 Upon emerging from the dogleg players are presented with a downhill sloping fairway that is pinched on the right by a pond before finishing at a green site protected by a pot bunker in the front and water on the right. The back to front and left to right slope in the green is much more severe than any first time visitor could ever imagine. In fact, we spent at least ten minutes hitting various putts from different parts of the green and I kept being amazed at the results. This hole requires precision off the tee, wisdom on the approach, and meticulous touch on the green for any chance of walking away with a par. 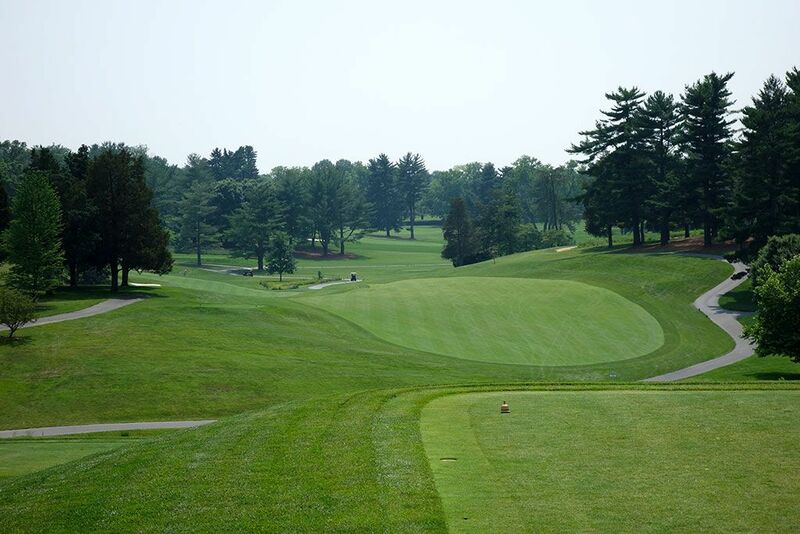 Best Par 5: 14th Hole – 540 Yards – The 14th plays downhill off the tree before climbing back uphill to the green. Players trying to cut the corner of this hole that banks to the left will have to steer clear of the large bunker protecting that side of the fairway. The plateau green brings the character to the hole with the left to right slope requiring soft touch to manage well. Players laying up should do so on the right side of the fairway short of the hill in order to gain the best angle for attacking the slope in the green. Birdie Time: 10th Hole – 511 Yard Par 5 – At just over 500 yards from the tips the 10th hole is reachable for plenty of players, particularly for players who are able to wrap a draw around the trees off the tee. The front of the green is wide open and thus receptive to aerial or ground shots that are played to the putting surface. Approach shots that leak right into the greenside bunker need not fear as it is one of the most shallow bunkers on the course and will yield a healthy percentage of up and down efforts. Bogey Beware: 1st Hole – 447 Yard Par 4 – Like the unconventional method of finishing on the par three, the Gold course opens with a difficult hole the will quickly turn into a bogey without a proper warmup. 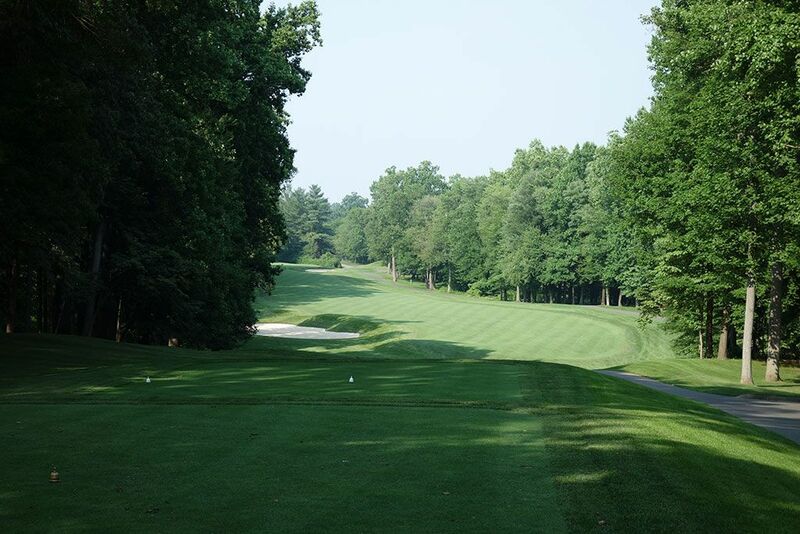 Players are presented with a view of a saddle fairway that doglegs to the left and drops down to a second fairway. Players that keep their tee shot on the top fairway are left with a fairly lengthy approach shot with a couple of bunkers and a substantial hill, all short of the green, that present a visual deception. The changes in elevation, divide across the fairway, and visual deception loaded up on the first hole add up to a difficult way to start your round.